Publisher of Penguin Random House, one of World Economic Forum’s Young Global Leaders, Chiki Sarkar dreams of having a drink with The New Yorker book critic James Wood…. 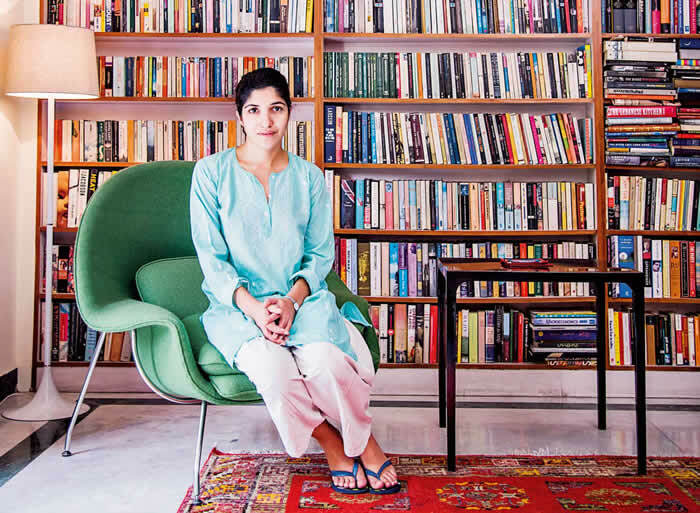 Her penchant for spotting talented authors got Chiki Sarkar instant admiration in the publishing world – Mohammed Hanif, Basharat Peer and Daniyal Mueenuddin – are among her finds. The Oxford graduate worked at Bloomsbury Publishing in London for seven years before returning to Delhi as the Editor in-Chief of Random House India. Last year, the ‘books girl’ as she likes to call herself took over as the publisher of Penguin Random House, with overall responsibility for building the local publishing programme in both English and the local languages. It is no wonder then that earlier this year Sarkar was named as one of World Economic Forum’s Young Global Leaders. Dreams of: Having a drink with The New Yorker book critic James Wood to talk books. Literature love: She says that the reason she reads is 19th century European and British fiction.